but interested in some new techniques. Wondered what you learn at the best massage therapy schools in Virginia? Today where the world is full of stress and tensions, massages are one thing that can rejuvenate the energy and bring about the lost positivity in the person. Not just the stressors but massages are great for your physical health as well. There are a number of massage techniques you can use to twist out the negative energies from the body. Where were you when they taught science in your school? Were you the child that caused a ruckus or the one that cannot go anywhere without a book. Because massage is all science. It stands on the pillars of the science of the body. The flow of blood, the contractions of muscles; every system of the body. That is why the term therapy is used. In Wikipedia terms, it is the manipulation of soft tissues in the body. But I believe it is much more than that. Believe it or not massage has been practiced for thousands of years. So, if you want to be on this side of the massage table, all you have to do is enroll in the best massage therapy school in Virginia and become a certified massage therapist. So, want to learn about some techniques? Letâ&#x20AC;&#x2122;s get you going then. Here are some of the most popular massage techniques: DEEP TISSUE MASSAGE: Get ready to say goodbye to your hands. Oh yes! This technique is really popular and it just takes a huge toll on the hands of the therapists. And that is one of the reasons that you need to perfect this technique to reduce the stress and pain on your own body while reducing the stress and pain in your clientâ&#x20AC;&#x2122;s body. There are some simple things that help like using your body weight. Also, you could use the tables that can be lowered enough where you could apply your body weight easily and effectively. Stretching the muscles and making your client take long and slow breathes is one way to reach the deeper tissues without putting in much work. MEDICAL MASSAGE: How times have changed. Today, you receive massages in a medical setting as well. The number of clients is ever increasing because of the effectiveness of the practice. This not just relieves pain but also creates trust between the therapist and the client. When you offer massages in a medical setting, it also helps to work together with other health care providers more effectively and efficiently. Well, when you see it clearly, this is not just to benefit the client only but also to assist the therapists as well. 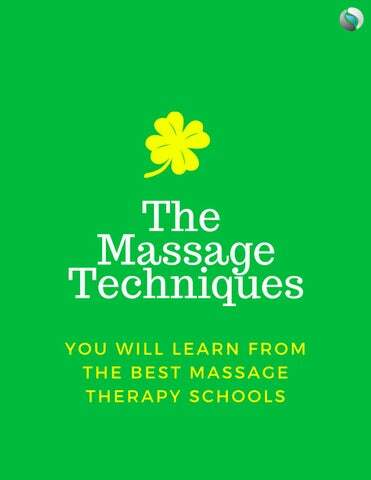 Learn the technique from the best Best Massage Therapy Schools in Virginia and practice therapy professionally with certification. STRETCHING: Many people try and shy away from this but actually, this is a technique which is very popular and effective. 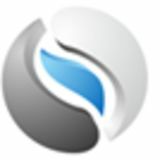 This technique will provide the client instant stress relief which helps in improving the fitness and the complete well-being of the person. Elongate the muscles, ligaments, and tendons slowly and give your client the effect of relaxation. This technique is also very effective when focusing on long term treatment. The thing is, this technique not just focuses on one part of the body but the whole of it. Thus Stretching is a key technique one must not be shy of. So, future therapist, get yourself enrolled in the Best Massage Therapy Schools in Virginia and earn yourself a certification to practice the therapy professionally. Use the techniques and give relief to your clients as well as yourself. Much needed, right?